sunshine and whimsy. 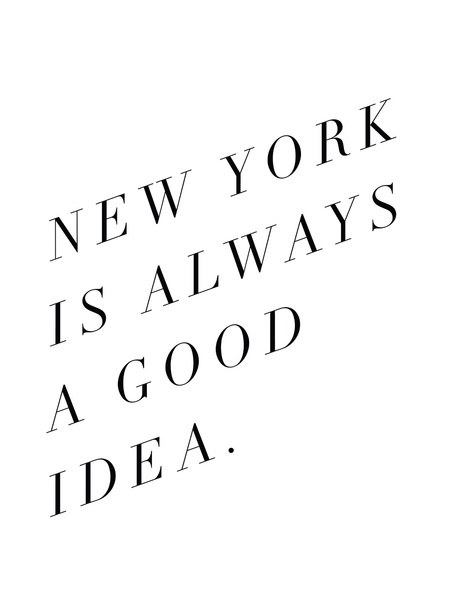 : new york is always a good idea. And if I hadn't recently started paying off my student loan, I would be buying this print from Sarah Tolzmann's newly open Print Shop. She's offering free shipping worldwide(!) until January 13. Which means I could get it shipped for free to Beijing! And yet, I've still managed to not click "Add to Cart." You guys know how much I love New York; I'm showing some serious self-restraint. Surely karma will reward me somehow, right?